One often hears of the valour of the Kodavas in battle and their distinguished careers in the armed forces. But this distinguished son of Kodagu, was a `General’ of a different sort. From humble beginnings, he rose to the highest position in government accounting to become the Comptroller and Auditor General of India (CAG). In an interview given to this reporter several years ago, the late Codanda Ganapathy Somiah, went down memory lane to the days spent in a school without seats and only a mud floor to the day when he was sworn in by the President as CAG. His father Codanada Ganapathy hailing from Kottoli village of Virajpet Taluk, who retired as a forest ranger and mother Kelapanda Polly Ganapathy, ensured their son who was born in 1931 received proper education. “Till the age of eight, I could not attend formal schooling as my father was posted in remote villages of Orissa in Koraput district. My parents were my first teachers and only after moving to Kollegal did I get to know what a school really offered.” revealed Somiah. “I was admitted straight to first form (6th std) and did not mind sitting on the mud floor” added the former CAG. He said the turning point in his career was the exposure he got while studying at St. Aloysius School in Mangalore where he completed his SSLC after his father was transferred to that district in 1942. His father was keen on sending his son to Madras, as Somiah topped his exams throughout and was brilliant in Math. 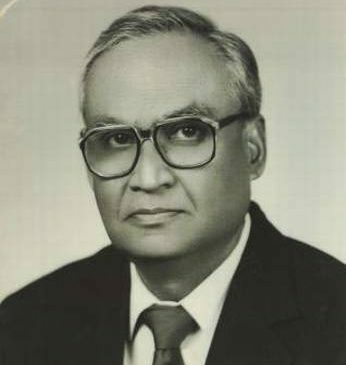 Somiah passed his intermediate from Madras Christian College with top honors in 1948. He then joined Loyola College and excelled in BSc Honors in 1951. With so much academic excellence under his belt he was raring to take up the annual civil services exam at age 20, but was ineligible — short by a year. He was the third Kodava at that time to have cleared the civil services. The first being Bollera Cariappa who was deputed to the Maharashtra cadre in the year 1948 followed by Chonira Muthamma (IFS) in 1949. Somiah’s sister Rati Vanay Jha followed him as the fourth Kodava to clear the Civil Service in the year 1967. She retired as Secretary Tourism, Government of India. Somiah said that there were two highs in his career. The first when he was sworn in by the President as the CAG, a constitutional appointment, in March 1990. The other when he was elected to the United Nations Board of Auditors for a three year term in July 1993 from where he went on to become the Chairman of the UN Board of Auditors. He was the first Indian to be appointed as the Chairman. He was responsible for the annual audit of the United Nations and its several agencies around the world and the financial audit of the UN Peace keeping forces. After demitting office as CAG, Somiah was co-opted as a member of the selection committee by UPSC to interview candidates appearing in the All India Services Examination in the years 1996 and 1997. The former CAG became the trustee of the Coorg Foundation, a benevolent fund established for the development of Coorg. In February 2002, the World Bank, appointed him as a consultant. Somiah had traveled abroad extensively. He took his sabbatical at the Oxford University in 1974-1975, where he was awarded the Queen Elizabeth Fellowship. In November 2001, the Karnataka Government honoured Somiah with the Rajyotsava award. He was one of the ten distinguished recipients of the National award conferred by the All India Conference of Intellectuals in December 2001. Somiah was a keen sportsman – he won a number of tennis, badminton and bridge tournaments. Post retirement, he took up golfing. He passed away in 2010, leaving behind wife Indira, son Anand and daughter Pria, the daughter-in-law of former Union Minister Margaret Alva.